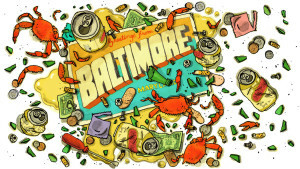 We talk with essayist and cartoonist Tim Kreider about his op-ed in last weekend’s New York Times, My Own Private Baltimore. Kreider’s most recent book is We Learn Nothing and his cartoon The Pain-When Will It End? ran for twelve years in the Baltimore City Paper and other alternative weeklies.